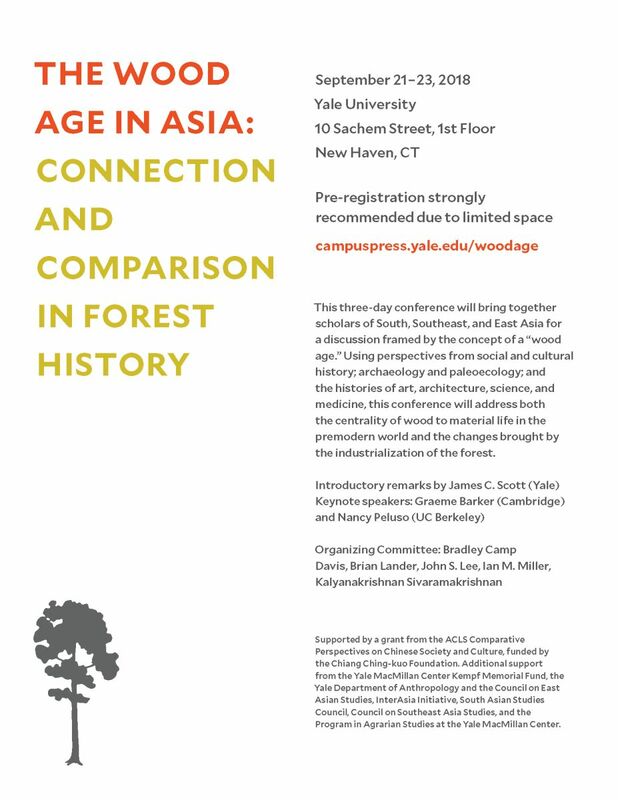 This conference will bring together scholars of South, Southeast, and East Asia for a discussion framed by the concept of a “wood age.” We will consider both the centrality of wood to material life in the premodern world and the changes brought by the industrialization of the forest. Using perspectives from social and cultural history; archeology and paleoecology; and the histories of art, architecture, science, and medicine, this conference will address the wide range of ways that people interacted with woodlands. These dialogues will help move forest history beyond the early focus on deforestation while offering an environmental critique of Asian history and correcting the current Eurocentric bias of forest history. Full conference information is available here. If you are an invited conference participant and already have a password, please click on this link Wood Age Papers to access the papers. If you have misplaced your password, please email inter.asia@yale.edu.